The Beano, a UK comic created in 1938, was one of my favourites as a kid. 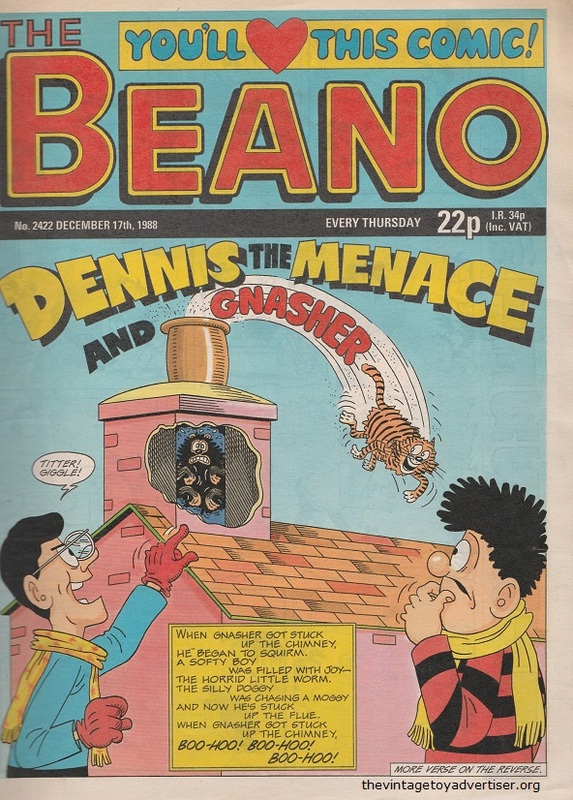 Here is a 1988 issue featuring Dennis the Menace and Gnasher on the cover. UK. 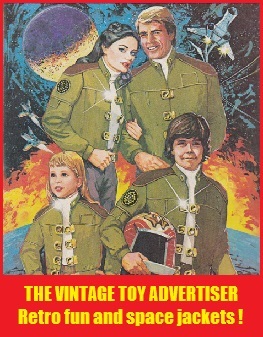 The Beano 2422. 1988. 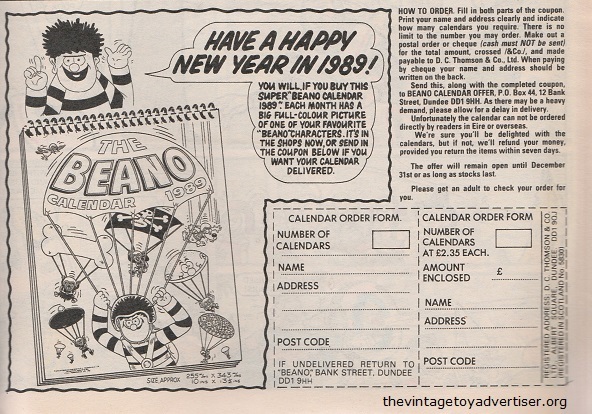 This advert contained the order form to order the following year’s Beano calendar. This advert is for the Dennis Menace Fan Club. As well as the chance to win prizes, club membership included badges, membership card, club secrets and a wallet. 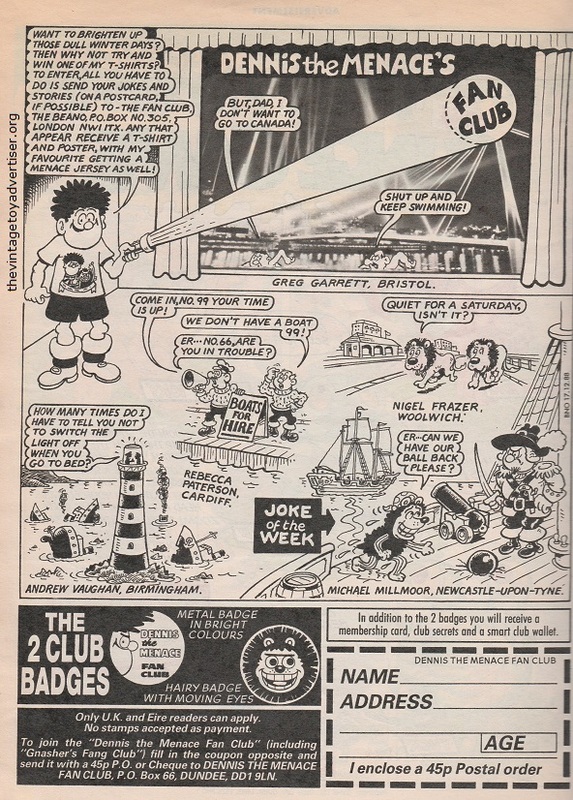 This entry was posted in COMICS and tagged Dennis the Menace fan club, retro comics, The Beano on June 12, 2014 by The Vintage Toy Advertiser.